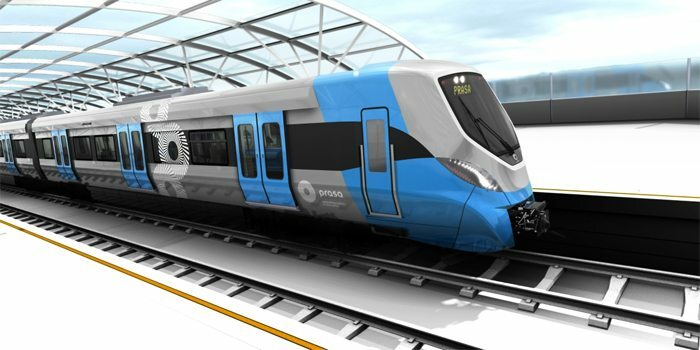 Construction of 600 000m2 Alstom-led Gibela train manufacturing facility in Ekurhuleni IN Gauteng is set to begin mid 2015 as opposed to February 2015 as announced earlier, with the construction phase set to take up between 20, 000 and 30, 000 local people as contractors and subcontractors. The Gibela train manufacturing facility will form part of USD 0.09bn 75ha Business Park with the inclusion of 36ha of integrated site. This will enable the facility to manufacture 580 trains over a period of ten years, 62 trains each year. Also included in the manufacturing facility is a motor site, traction and bogie and 25ha supplier park for component train manufacturing. This project is part of a USD $4.53bn contract that Passenger Rail Agency of South Africa (PRASA) and Gibela signed, and would last for 18 years. Gibela would supply the metrorail service with 600trains, 3600 cars and technical support. It will also supply spare parts to the firm. According to the MD of Alstom Transport South Africa Yvan Eriau, the project will help in the transfer of skills and development, with USD $79.90m already set aside for training of individuals working in the manufacturing facility. At the moment, 12 engineers from South Africa are learning train technology skills – to take 18 months – and 66 percent of Gibela staff are already trained in various aspects at Alstom Transport, France. Five maintenance depots that will provide fault-finding support, monitoring and control, planning of material requirement, and reliability engineers will also be established by Gibela in Durban, Eastern Cape, Gauteng, Braamfontein and Wolmerton. Two repair centers for Gibela train manufacturing facility will be set up with a local warehouse in Durban and Salt River. Local production for the X’Trapolis MEtric GAuge (Mega) trains is set to start off in July 2016, although first units will be manufactured in fourth quarter of 2015 in Lapa Brazil.